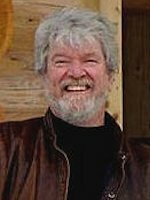 With over 30 years in housing and energy conservation Tex McLeod is one of North America's leading presenters on energy, housing and indoor air quality. Tex delivers training across Canada, the US and has traveled on behalf of CMHC's International Training Team to South America, Russia and China. Tex is a past board member of EEBA, and has presented at many US venues including: Colorado, Alaska, North Carolina, Nevada, California, Florida, Minnesota, Wisconsin, Georgia, Arizona, Oregon and Washington DC. In addition to delivering training, Tex has also worked to develop training materials for a variety of clients including: EEBA / EPA, CMHC, Ontario Hydro, NRCan, Atlantic Home Warranty and Ontario First Nations Technical Services. Tex was also part of the original team that put together indoor air quality workshops for CMHC as well as the EEBA IAQ workshop.